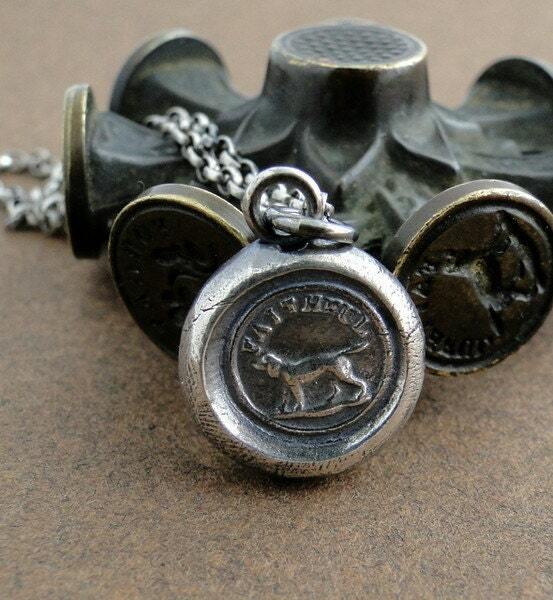 This seal features an image of a dog with the word 'faithful' emblazoned across the top. 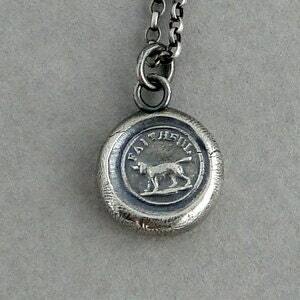 Dogs are symbols of courage,vigilancy and loyal fidelity. 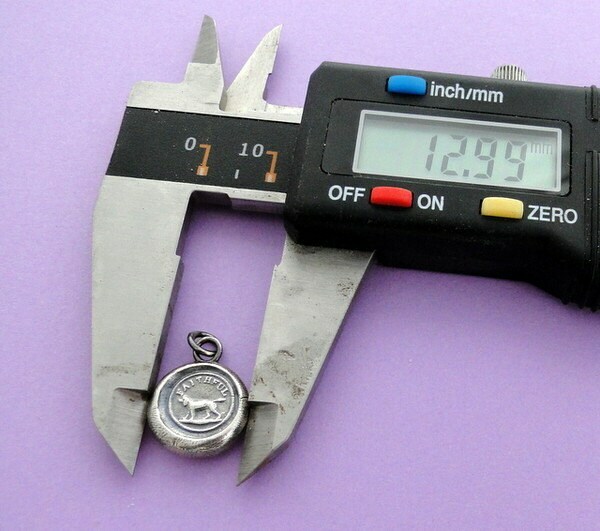 This pendant charm measures 13mm across and has a nice solid weight for it's size.